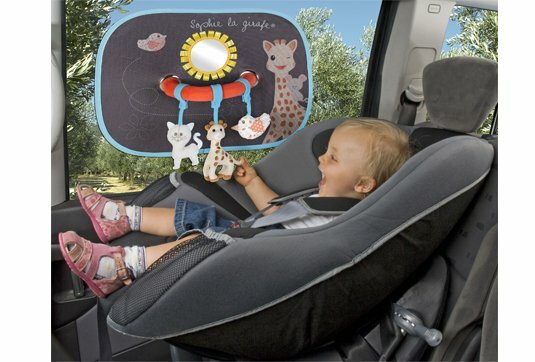 To protect baby from the sun and keep provide entertainment in the car! 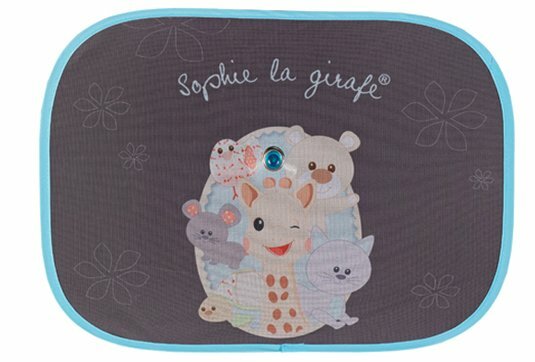 2 - a sun shade with Sophie la girafe design. 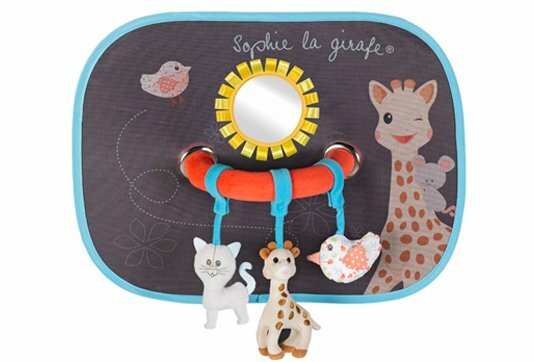 Activities to stimulate the senses: 1 detachable mirror and 3 accessories. 5 - Lazare the Cat with little bell. 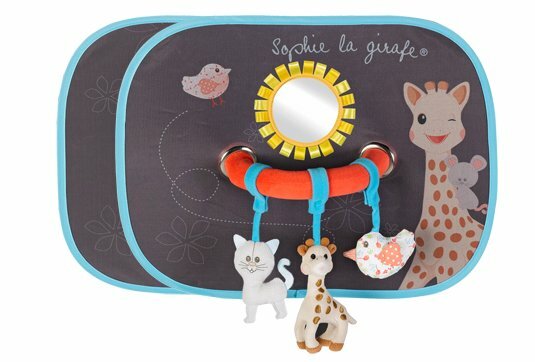 The three activities are detachable and their Velcro fasteners mean they can be attached in a multitude of places. Easy to fit with suction cups and suitable for all types of car. Pop-up system, the sunshades fold to a compact size.